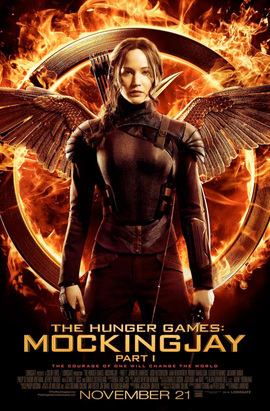 When Katniss sees government planes destroy a hospital, she seems to finally embrace her role as the Mockingjay. Soon after, however, she goes back to moping and whining about how she wants her Peeta back, until, to make this prima donna happy, the rebels send a group into the capitol to rescue him. What makes all this somewhat distasteful is that we see rebels sacrifice their lives to fight the government, yet our main concern is supposed to be that Katniss is worried about her sweetheart. The revolution will not be televised, but it will be made into a teenage romance. I first became aware of Pham Binh during the late 2000’s. Don’t ask me why, but I had developed a fascination with British political blogs at the time. Binh would often comment on their threads. He would give the impression of being an ISO member (he had actually just left the ISO), while making snarky comments about Alex Callinicos and the British SWP. This struck me as an odd thing for someone to do. In Marxist lexicon, there are two types of revolution: democratic and socialist, or more scientifically, bourgeois-democratic and proletarian-socialist. These two types of revolution involve different class alignments, have different tasks, and lead to different outcomes, although a two-stage uninterrupted revolution that is initially democratic and becomes socialist is possible. The socialist revolution is a battle between the whole of the bourgeoisie and the proletariat for political supremacy and ends with the victory of either the capitalist or socialist social systems. The democratic revolution is a battle against autocratic rule that removes fetters on capitalist development between a great variety of classes – peasants, workers, students, landlords, capitalists, small business owners. In democratic revolutions, bourgeois forces can be found on both sides of the barricades (unlike in socialist revolutions) and their concrete outcomes can vary tremendously because of their class heterogeneity. Making accurate generalizations about democratic revolutions is difficult since they have occurred on every inhabited continent in one form or another beginning at least 300 years ago. This sounds ponderous, but it is actually simplistic. Some revolutions don’t quite fit the neat categories that Binh posits. The American Revolution, for example, involved a number of different class forces, and it was led by an alliance between Northern merchants and Southern plantation-owners who wanted to preserve slavery. Binh’s comment at the end about the “difficulty” of “making generalizations about democratic revolutions” is perhaps meant to acknowledge this. However, Binh then proceeds as if he never made this qualification. Championing the democratic revolution in Egypt now means not only condemning the coup and the SCAF-controlled interim government in words but actively organizing to reverse the coup in deeds by literally breaking Morsi out of jail and returning him to his rightful office. The weapon of criticism cannot replace the criticism of weapons, condemnation without action is phrasemongering. Marxists are not supporters of Morsi, but letting him rot in a Republican Guard cell and allowing the coup to proceed as planned is a death-blow to a democratic revolution barely begun and without the freedoms its victory will bring, no powerful proletarian movement can develop. Our loyalty is not to Morsi (who we will not hesitate to overthrow and defeat) but to the working class specifically and the democratic revolution generally. Breaking him out of a military jail today does not preclude arresting, overthrowing, or un-electing him tomorrow, nor does it imply an ounce of political support for the bourgeois-obscurantist Muslim Brotherhood or Morsi’s reformist ineptitude any more than the Bolsheviks’ active defense of the Kerensky government from Kornilov’s coup make them supporters of Kerensky’s strike-breaking and repression of peasant committees. So, Binh is saying that having called for Morsi’s overthrow, the Egyptian leftists should now call for reinstating him, so that at some unspecified future moment (“tomorrow”), they can again call for his overthrow. Is he serious? Let me me point out here that calling for returning Morsi to the presidency is supporting Morsi, so it is nothing at all like the Bolsheviks’ position on Kerensky during the Kornilov coup. One of the reasons the Bolsheviks were successful in 1917 was that they maintained more-or-less consistent positions. They did not make sharp reversals, such as what Bingh is urging Egyptian leftists to do. The Egyptian Left is facing a difficult situation, and, unlike Binh, I don’t pretend to be able to tell them what course of action they should take. One thing, however, is clear to me: the worst thing they could do is adopt a hare-brained scheme that is based on over-simplified Marxist theory and a faulty historical analogy. We’re here folks. This is the real thing. The global revolution has started. 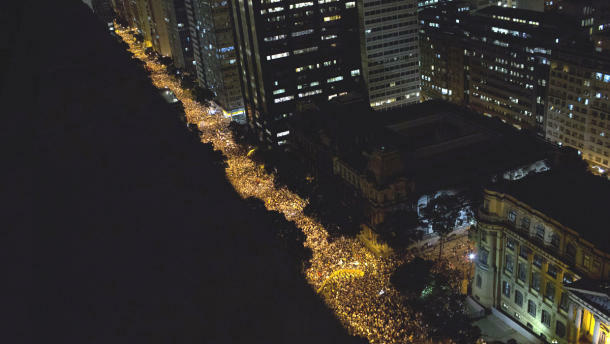 What’s happening in Turkey, and Brazil, as a write this, are not unrelated events. The revelations about how corparatist cartels are using government institutions to cast a wide net of surveillance over the entire population (NSA spying) with the intent of using it as a tool to control, manipulate and exploit the citizenry, is part of the collusion. I don’t want to sound like Mr. Downer, but I’ve heard this kind of talk before. I heard it after the “Battle in Seattle” in 1999. (I remember Alex Callinicos saying that Seattle was “a fork in the road”. It was more like a speed bump for neoliberalism.) I also heard this talk in the Occupy movement in the fall of 2011. Yet at some point the increasing corruption and criminality of our global economic system is going to produce some kind of sustained fightback. If not now, some time in the near future. Something has got to give. 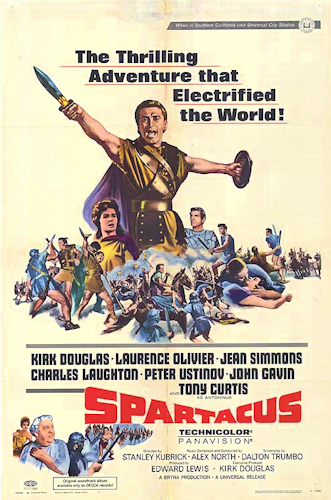 Spartacus is a 1960 film that stars Kirk Douglas as the leader of the ancient Roman slave rebellion. It was directed by Stanley Kubrick, from a screenplay by Dalton Trumbo, which was based on a novel by Howard Fast. Trumbo had been blacklisted during the early fifties. (Trumbo and Fast were both former members of the Communist Party.) At Douglas’s insistence, Trumbo was given an on-screen credit, in violation of the black-list. Spartacus is widely credited with helping to end the black-list in Hollywood. Because Trumbo was black-listed, many people tend to interpret Spartacus as being about the Red Scare. 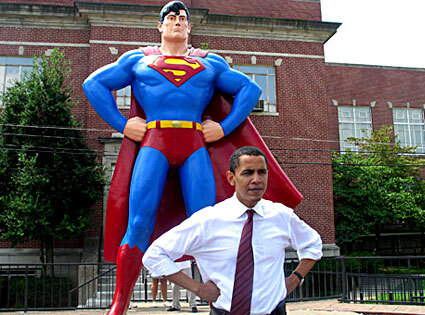 (I have a deep reluctance to use the liberal term, “McCarthyism”. I will have to discuss that at some other time.) This does seem to apply to the famous “I am Spartacus” scene. There is, however, another way of looking at this film, that is more relevant to our current situation. A large part of the story details how the Roman general, Crassus (Laurence Olivier), uses the uprising to persuade the Roman Senate to give him dictatorial powers, in much the same way the Bush and Obama have used the threat of Al Qaida to persuade Congress to give them virtually dictatorial powers. Some things never change. Spartacus has some powerful moments. The battle scenes are well done. The final battle between Spartacus’s army and Crassus’s is impressive to watch. And it’s fun to watch Charles Laughton and Peter Ustinov as a couple of scheming Roman politicians. I can’t, however, call Spartacus a great movie. It drags in some places and it is sentimental in others. A fight scene between Kirk Douglas and Tony Curtis towards the end of the film is contrived and unconvincing. And Alex North’s music score is repetitive and sentimental in places. Kubrick did not have complete artistic control over this film, which seems a shame to me. This could have been a truly great film. 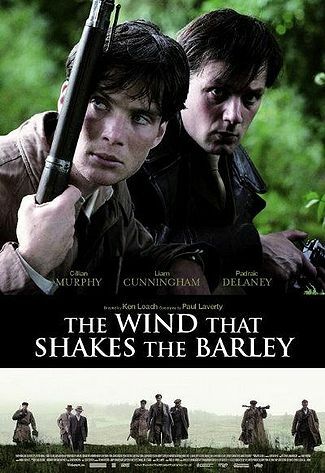 One of my Facebook friends suggested that instead of drinking green beer and getting violently drunk on St. Patrick’s Day, people should watch The Wind That Shakes the Barley. I decided to take this advice, and I’m glad I did. Ken Loach’s film about the Irish War of Independence is a remarkable work. Not only is it a stirring depiction of armed struggle against oppression, but it is also a disturbing examination of the moral dilemmas that such a struggle entails. The year is 1920. Damien O’Donovan (Cillian Murphy) is a young doctor about to leave for London to work in a hospital there. When a friend of Damien’s is murdered by the Black and Tans, his friends urge him to join the Irish Republican Army, but he dismisses their cause as hopeless. At a train station, however, he sees British soldiers beat up some railway workers who refuse to let them on the train. He changes his mind and joins the IRA, where his brother, Teddy (Pádraic Delaney), is an officer. Together, they fight against the British. When the Anglo-Irish Treaty is signed, Teddy supports it. He argues they have no choice but to accept it, since the British threaten all-out war if it is rejected. (Considering that Churchill was not opposed to genocide, I don’t think this was an idle threat.) Damien, however, sees it as a betrayal of the Republican cause. They find themselves on opposite sides of the ensuing civil war. It seems that in every revolution, there comes a moment when one group decides that it has gone as far as it can possibly go, while another group is equally convinced that the revolution must go further. The most famous example is the split between the Girondists and the Jacobins during the French Revolution. What is less appreciated is that such a split actually happened three times during the Russian Revolution: first between the Mensheviks and the Bolsheviks, then between Lenin and the Workers’ Opposition, and finally between Stalin and Trotsky. The Wind That Shakes the Barley illustrates how the Irish War of Independence followed this pattern, with tragic results for those involved. This film doesn’t present either side as being entirely right or entirely wrong. Like Brecht’s The Good Woman of Szechuan, it presents us with an open-ended question.